I’m sure you’ve all heard it before: A 15 minutes call could save you 15 percent or more on car insurance. Most people sign up for an auto insurance policy, and then continue to make payments whenever they receive the bill. Most people hate switching auto insurance policies because it’s “too much work.” Most people don’t even know how much money they could be saving because they never bother to do the research. I’ve been with my Farmers auto insurance policy for over 5 years. It’s been a great auto insurance company to work with. Several family members are under the same insurance, so we get multiple family member discounts. I get a good driver discount and also a long-term policyholder discount. Once a year, usually around January, I make a few phone calls to other auto insurance companies to make sure I’m still getting a reasonable insurance rate. For the last two years, switching auto insurances wouldn’t offer me much savings. It was the same this year, and so I went ahead and paid for my insurance premium recently. Since getting married and purchasing a new car with my wife, it was time to combine auto insurance policies for the wife and me. I was now dealing with two vehicles for our auto policy and wanted to make sure that I really was getting the best rate. As it turns out, adding my wife to my current auto insurance policy didn't save us any significant amount of money. It turns out that my family is currently “maxed out” on multi driver discounts. I could have just left it at that, adding her to my policy, and paying extra for auto insurance. But that wouldn’t be the relentless financial improvement method, now would it? I just went through the simple (but time consuming) process of switching auto insurance policies. And it really did save me a ton of money; switching to Geico will save me $570.70 per 6 month term. 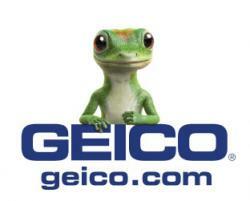 You may not save the most money with Geico - this post is not an advertisement for that insurance company. After doing the research, Geico fit my needs and price point best; your results may vary. Check the details of your current rate. You can get this information by reviewing your insurance documentation, logging into your account online, or calling to speak with a customer service rep. Make sure to write down your coverage limits so that you can make apples-to-apples comparisons for cost and coverage when comparing your current rates to other potential auto insurance rates. Determine how much insurance you really need. The insurance information institute has good basic information on what is covered by a basic auto insurance policy. Smartmoney.com also has a good article for helping you determine how much auto insurance you need. . The article is pretty old but I found that the information is still very relevant today. Don’t skimp out on coverage. Experts recommend a minimum of $100,000 bodily injury protection per person and $300,000 per accident (this will protect your assets against lawsuits that may come from an auto accident) as well as $50,000 for property damage liability (will pay for repair and replacement of the other party’s vehicle or property in the event of an accident). Collision covers you for the cost of repairs or replacement of your vehicle after an accident. Comprehensive coverage will protect your vehicle from random damages like falling tree branches, hail, flood, fire, theft, or vandalism. Raising your deductible can reduce your premium, but be sure that you can afford your deductible if you’re in an accident. Get competitive quotes from multiple insurance companies, including your own. Each quote will take between 15-30 minutes. Make sure you apply all the discounts possible. Are you a good driver? Student? Working professional? Are you a member of any professional organizations? Turns out my profession along with belonging to a fraternity in college helped me save an extra 20% off my car insurance. Since I live less than 10 miles from my office, I also qualified for low mileage discount. An online quote may not turn out to be the same cost as your final quote. Only after an insurance company runs your VIN (Vehicle Identification Number) and your driver’s license number can they give you an accurate official quote. Having any car accidents or traffic violations on your record will affect the rates that you have to pay for insurance. After you have contacted several companies, you will have a good idea of which company to go with. For me, Geico saved the most amount of money. Sign up for new auto insurance. Once you decided on the right auto insurance company to go with, make sure you let them know when you want your policy to take effect. Make sure you print out your new insurance card and put it in your vehicle. Make sure you discuss payment options. Some companies won’t let you pay your bill with a credit card. Some companies will charge you a payment plan fee. For instance, Geico will charge you a $5 payment-processing fee if you choose to make monthly payments instead of one lump payment. I did not want to pay an unnecessary $30 worth of fees for Geico’s 6 month policy, so I decided to make a one time payment. Cancel your old policy. Make sure you secure coverage under a new auto insurance company before canceling your previous policy. Most auto insurance companies require a cancellation request in writing. Some auto insurance companies may have an early termination fee if your policy term has not yet expired. If you are working with an insurance agent, they will help you cancel your previous policy. Luckily there were no cancelation fees for me to leave Farmers auto insurance. Call your insurance company to find out these details. The whole process took me around 1.5 hours but I will be saving over $1140 each year with Geico. Every insurance company uses it’s own unique formula to determine what rates they want to insure you at. Staying with the same company doesn’t guarantee that you will have the best rate. Call around to find out which insurance company and policy rates suit you best. If you can save money, you'll be glad you made the phone call.